Simple to assemble and build. 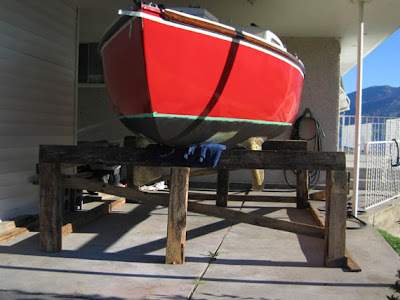 Easy to raise boat for bottom and keel work. 8. keep in mind that the length of the six supports will depend upon the height of the keels off the ground when on the boat. The goal is to raise the boat at least 1” higher than the frame of the trailer so the trailer can be pulled out.